In a food processor pulse together the walnuts, spinach, olive oil, lemon and yeast until smooth, 20-30 seconds. Season with salt and pepper. Slice tomato into wedges and marinate with balsamic and a pinch of salt. 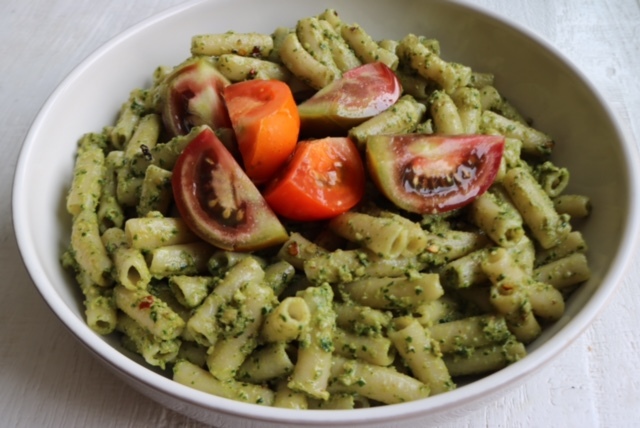 Toss cooked pasta with with pesto and season with salt and pepper. Divide pasta between two bowls and add tomato on top.